With all the talk of performance options for the 928, this thread really hit home to show what you can do with an intake manifold and a tune. Since Ferrari Chat photos are only available to registered members, I asked Ernie on Ferrari Chat if I could upload his images to Rennlist to share this project. Long story short, this intake manifold was computer modeled and designed for a larger engine. The builder decided to run it on a bone stock 348 just to see what would happen. For a long time I have been of the opinion that the F119 engine is restricted in it's breathing. Because of the restricted breathing it can't reach its full power potential. I had been talking with different engine builders about how they achieve more power with different intake systems they had used. Some of you may remember the twin turbo 348 Challenge I made a thread about a couple of years ago. It put down over 600+hp to the wheels. Well this time I bring you a naturally aspirated 348 that produces over 400hp. 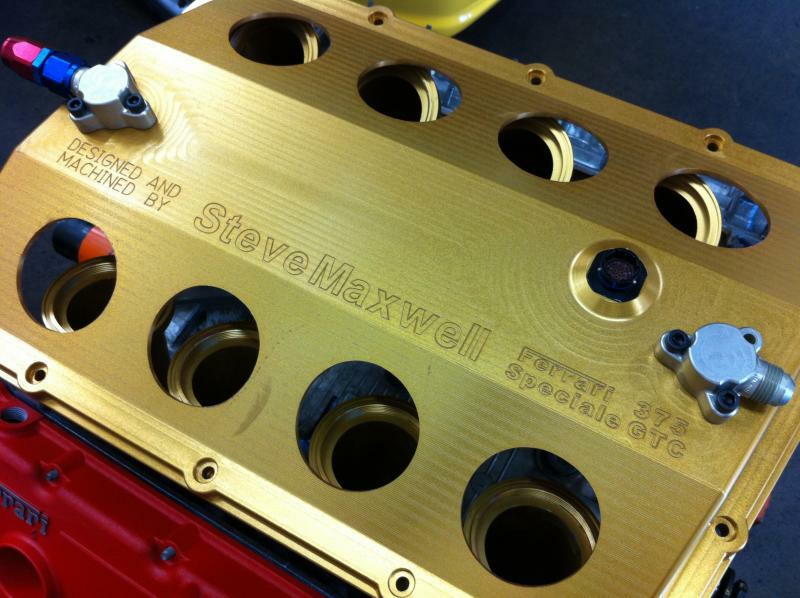 It was designed and built by none other than Mr. Steve Maxwell, the same mad genius the built the 348TT. 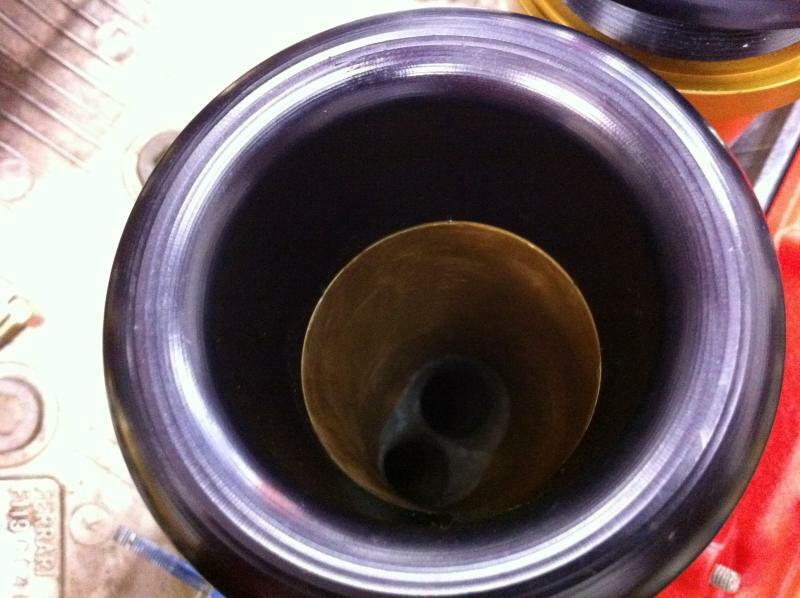 Steve designed and engineered a new intake plenum that truly releases the breathing potential of the F119. 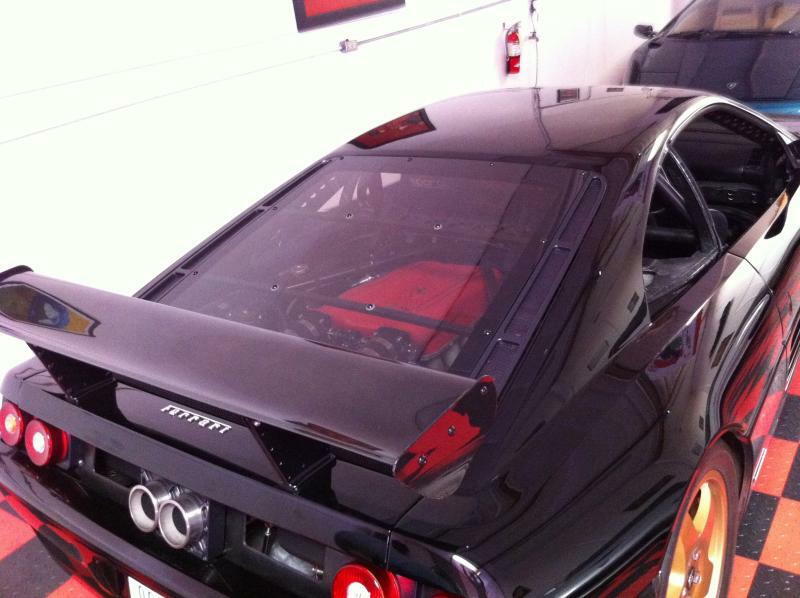 Here it is sitting inside the engine bay of Steve's 348. 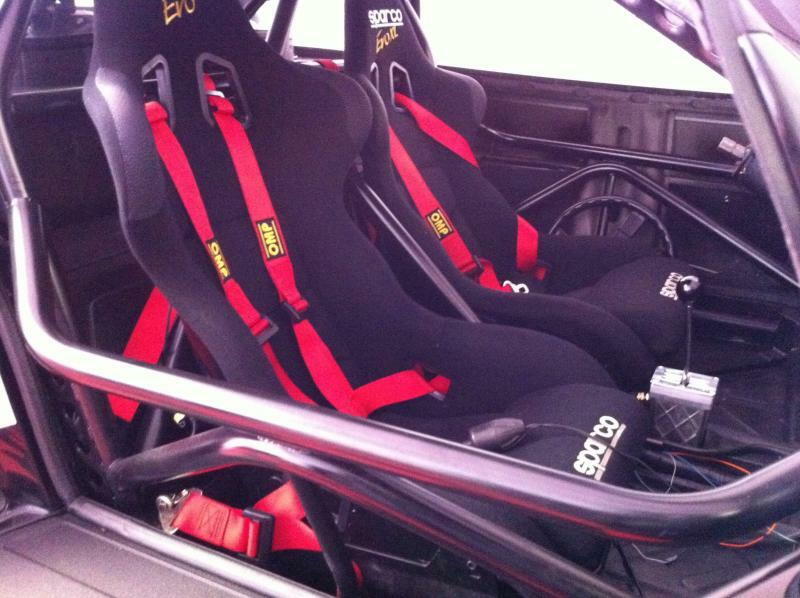 A look inside Steve's car reveals an interior built for business, complete with racing seats, racing harnesses, a roll cage, and yes, a 6 speed from a 355. A peak though the read window gives a nice view of Steve's latest creation. Steve opened up the engine cover to reveal the master piece. And yes you are reading that correct, it does say 375 on it. I ask him what the deal was with the 375, and he tells me that's the displacement of an individual cylinder for a new engine he's working on. Another engine?!?!?!? Yup another engine. He bolted this intake, on the engine seen here, to test it out an see what it could do on a bone stock F119. Turbos need air, and lots of it. Like wise, naturally aspirated engine need plenty of air too. To give you an idea of how restricted the F119 is, here is a side by side of Steve's intake plenum versus the factory plenum. Steve ran loads of calculations, simulations, and testing before he finalized his design. You can clearly see how his plenum dwarfs the stock unit. It also shows how badly the engine is being choked in stock form. Another choking point is the throttle bodies. 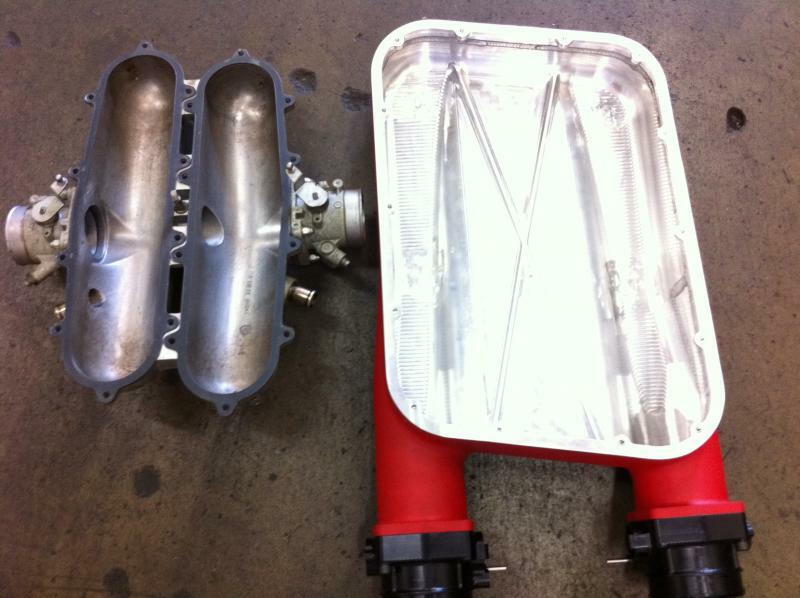 Not only did Steve manufacture the intake he also manufactured new throttle bodies. The stock throttle bodies are tiny, measuring 54mm at the throttle plate. Steve TBs are 80mm, and there are two of them. Yeah that will free up breathing. You can see the stock tb is so small that the entire thing can fit inside the opening of Steve's tb. Then I get to play with some goodies!!! Steve was kind enough to allow me to see the individual parts, and to mock up an intake. I was like a kid in a candy store. He pulls out a box full of runners. 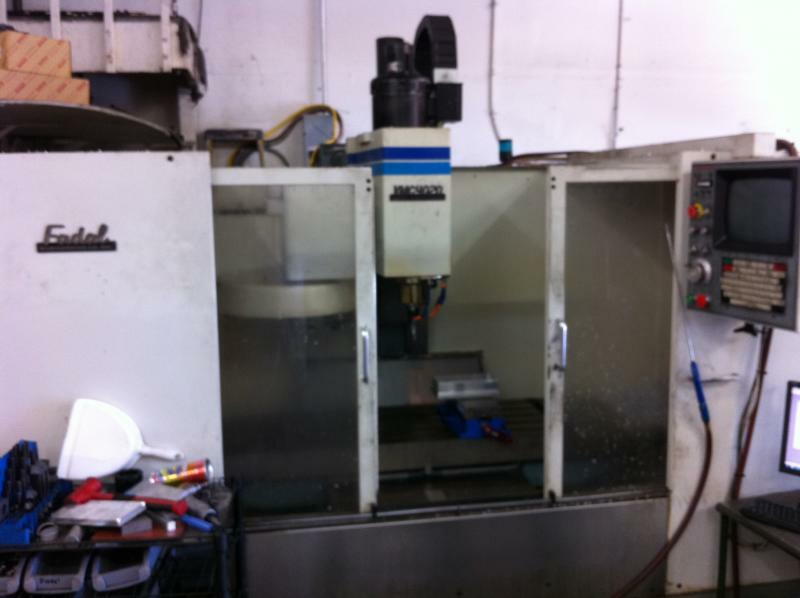 Each runner is machined from billet in his personal CNC machine. The craftsmanship, engineering, and design he put into all these parts was simply AWESOME!! Forgive me if some of the pics are blurry, I was using the camera on my cell phone. To enable air to flow into the runners efficiently Steve designed velocity stacks of various lengths. You can run all one length, or stagger the lengths, run all short, all long, or half an half. The purpose of this is to take advantage of different harmonic resonances at different rpms. The way the velocity stacks are arranged in this pic was just us playing around with the arrangements. 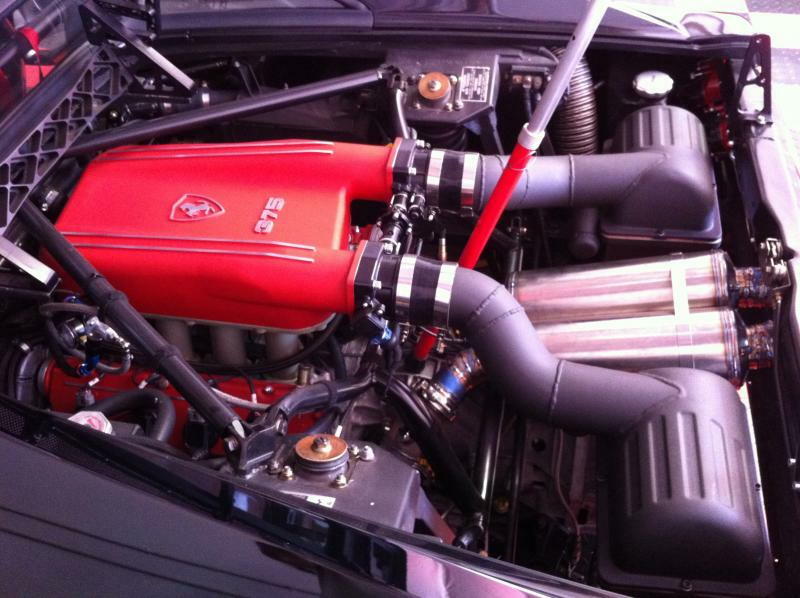 To give the engine bay a clean look Steve incorporated the fuel delivery system inside of the Intake. 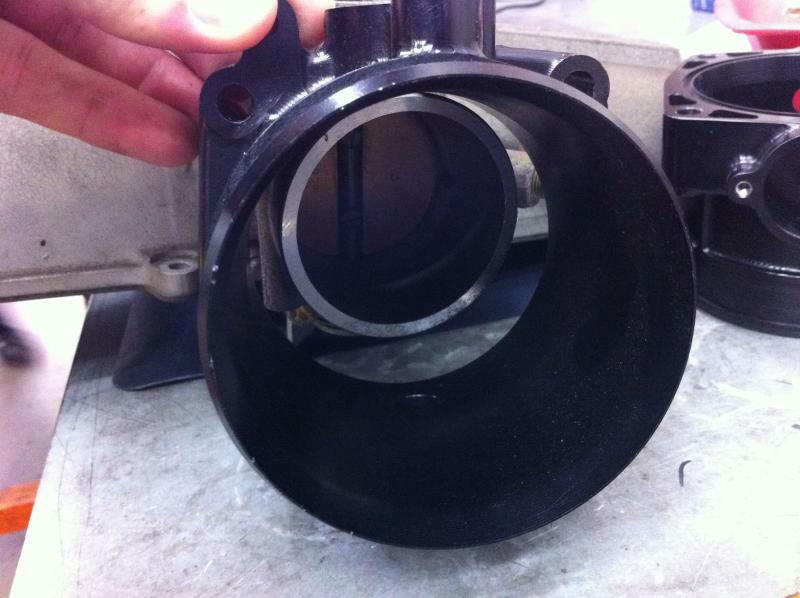 Here you can see the fittings machined into the bottom of the intake. But the real reason is that he is running F1 style rain injectors. 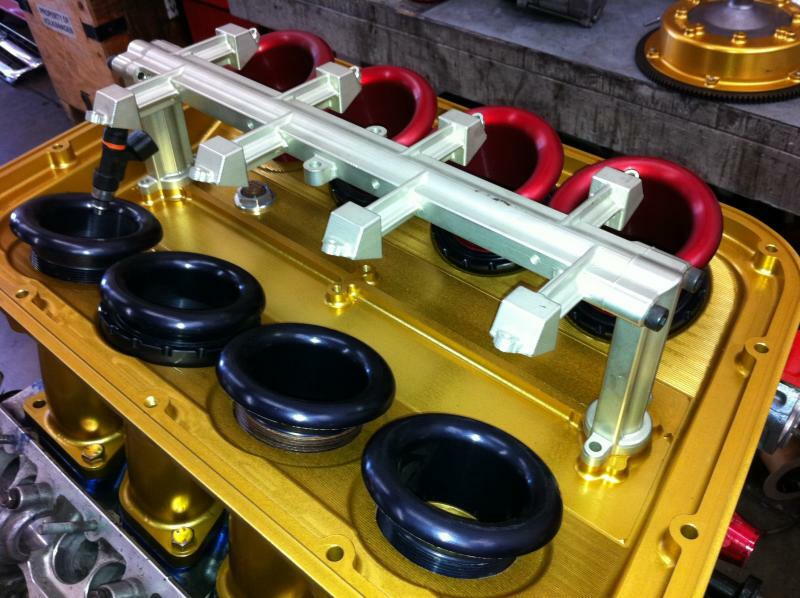 The fuel rail runs inside the plenum housing the injectors. This place the injectors in the optimum location for atomization. 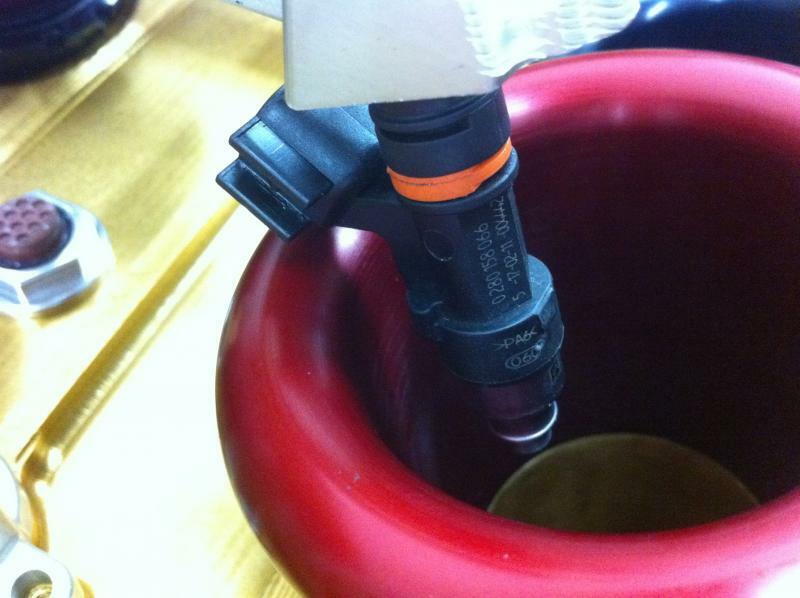 The one injector pictured here was just held there to give an idea of how they would squirt down the runner. They actually sit dead center and above the v-stacks when everything is screwed down properly. You can also see how we changed the location of the v-stacks, again playing around with configurations. The attention to detail, thought, and engineering Steve put into this is something you would see in a F1 race team. 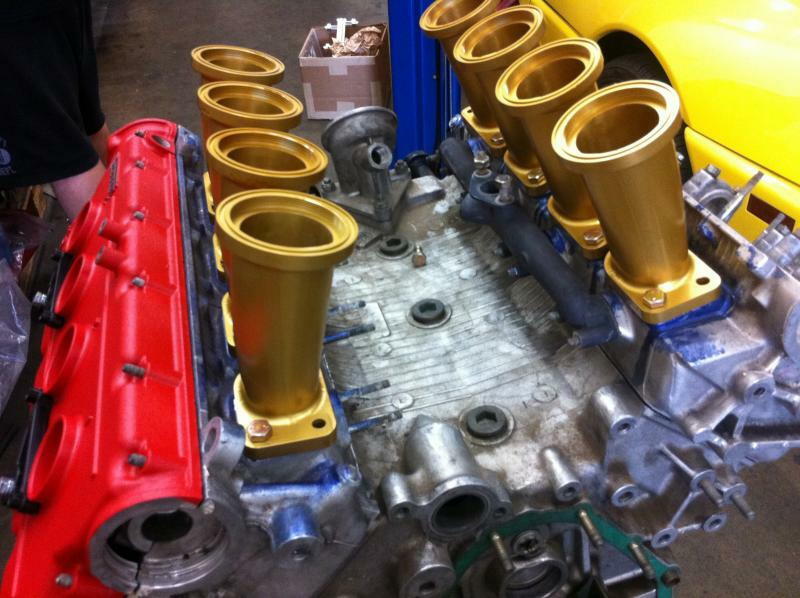 He even engineered and machined all the linkage for the throttle bodies. I'm telling you the ENTIRE thing is engineer, machined, and built by Steve in his shop. He is truly a master at what he does. 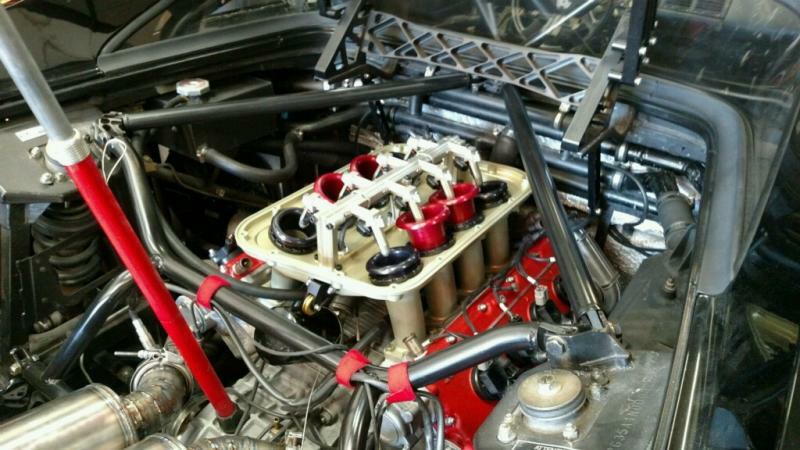 Steve had a stock F119 engine he was planning on rebuilding, so he wanted to test the outer limits of the stock engine. Just what would it do with modern technology? He didn't care if it blew up because it was gonna get torn apart anyway. So he bolted everything on, tuned it, then strapped it to the dyno. He said that was more power than a stock CS on the same dyno, and I believe it. 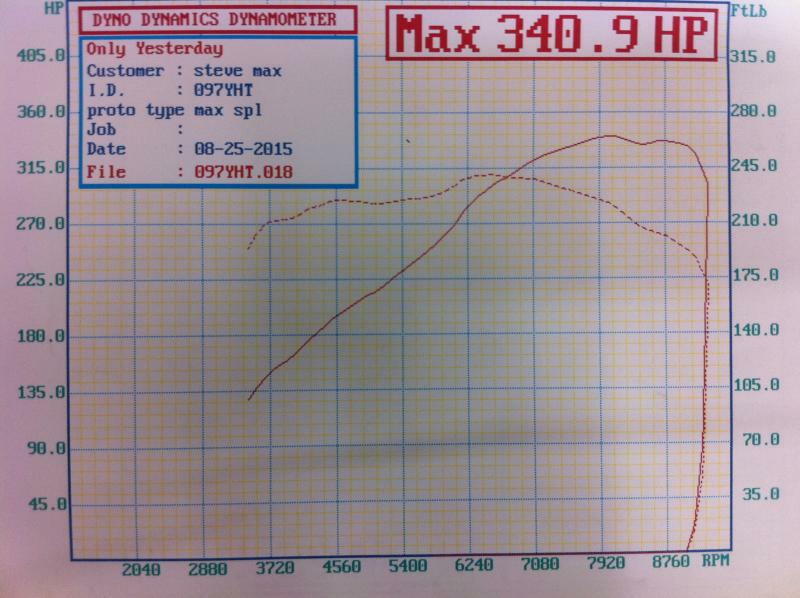 Here is a dyno sheet from my 348 on the exact same dyno Steve ran his car on. Mine put down 259hp. On a Dynapack I managed to do 305hp at the hubs. 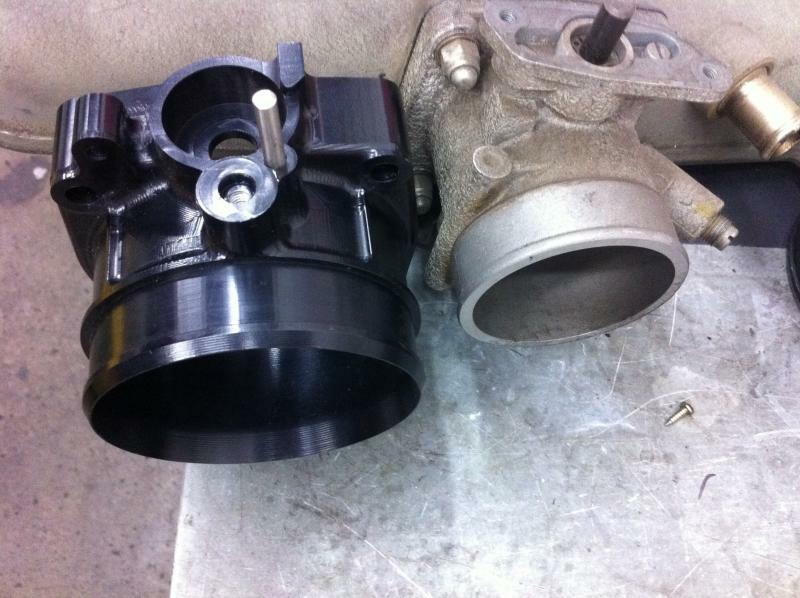 That would put Steve's car in the 385-390hp range at the hubs on a Dynapack. That translates into solid 400+hp at the crank for his car. I would like to extend a huge thanks to Steve for giving me the pleasure of hanging out with him for practically an entire day, and for sharing his work of beauty with me. You can see on Steve's dyno that he made peak power at 8000rpm. This was on a bone stock bottom end. 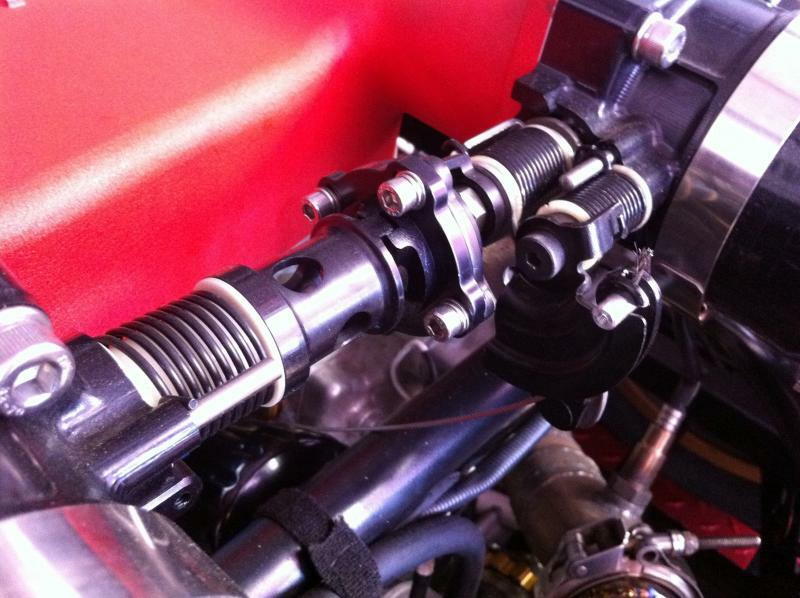 Stock pistons, stock crank, stock rods, stock valves, stock cams. Everything outside the engine was up to date and custom. He did have to change the cam timing some, but the long block was bone stock. This proves to me that the F119 348 engine is one potent little power plant, and is severely restricted in stock form. Keep in mind there is more that can be done to extract even more power from the F119. Bigger valves, better cams, more revs, bigger bore, longer stroke, etcetera. Thanks Steve for doing the 348 Brotherhood proud! Here are a couple more pics I dug up. A look down the throat of the runner reveals the superb blend job he did. You can see how the shape transitions from round to oval as it meets the intake port on the head. 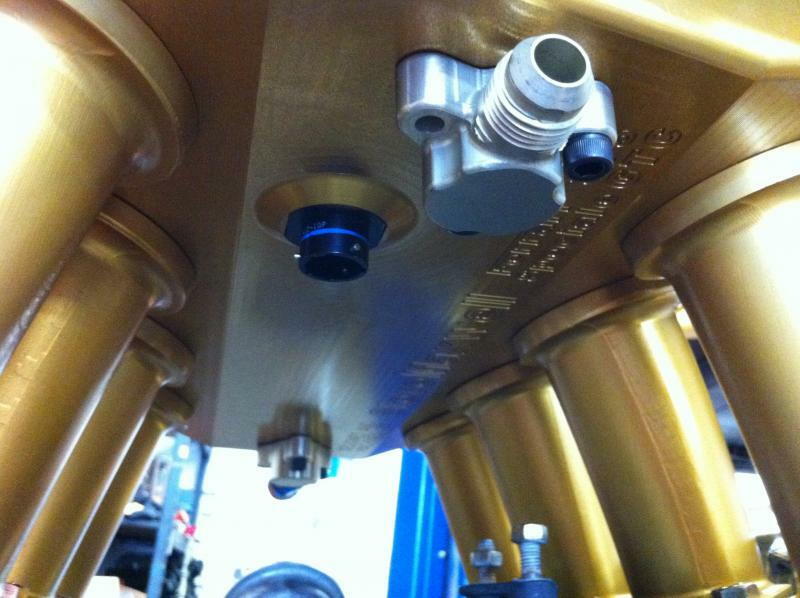 This picture shows the how the rain injectors sit when everything is properly in place. It also displays the varied length velocity stacks that account for the nice power up top. An absolute work of beauty, meticulously thought out and implemented. 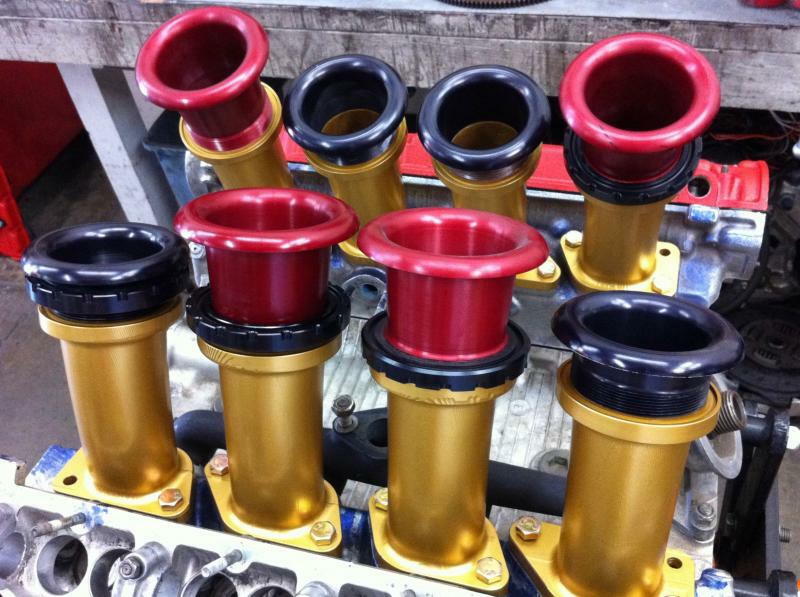 That"s not a manifold....that's art. 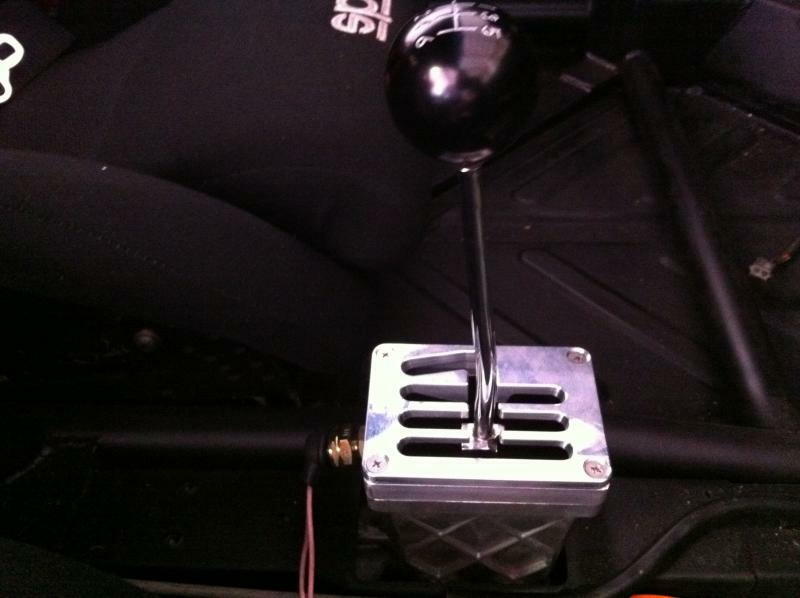 shifter housing, exhaust tips, hatch frame sides, hatch frame hinges etc. thanks for the cross post. im a member over there from when i was looking at a purchase but am not active at all. 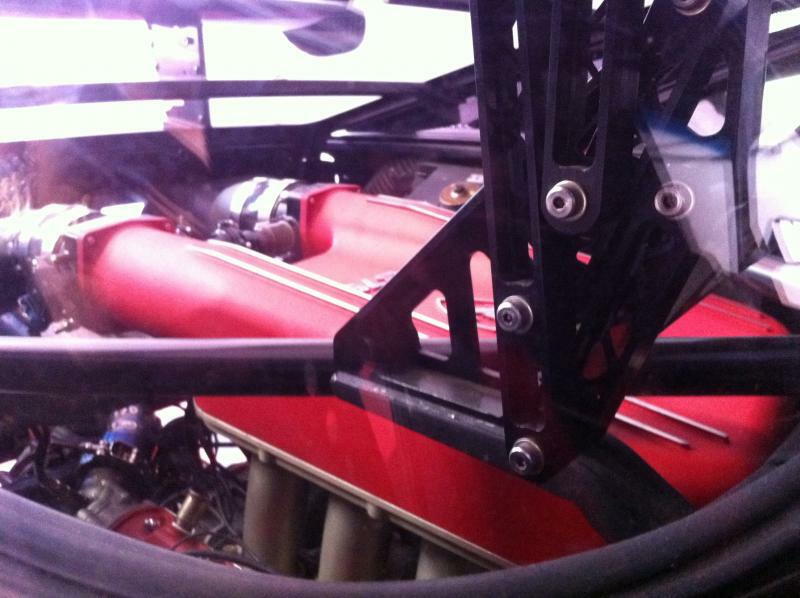 the carbon fiber intake on Mark andersons engine and Joe Fans, both gained near 80hp .... no other tuning changes. yes, this is what we need to have available, and I cant believe someone hasn't productized an intake that can bolt on sad! 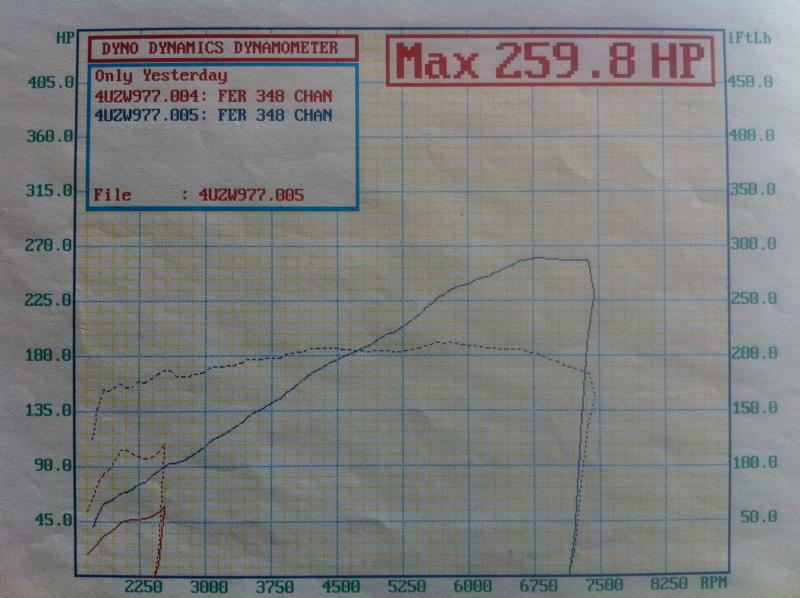 interesting dyno charts..... 5252 RPM is oddly not the crossover... Are you sure this was stock camshafts ?? and it is aftermarket ECUs. By the time (hopefully before summer) I get my first intake made so that they are reasonable enough for even a "high end" 928 guy to buy one, I'll have 50K of time building prototypes, testing, engineering, programming, and tooling invested. I also can't believe someone hasn't done it already, since the market is SO huge and the payback for the investment is....well....NEVER. I'm doing this, strictly for my own edification....and so that I can make one of the final steps forward in my engine developmental program. Financially, it's probably the absolute pinnacle of stupidity. Also worth mentioning that the big jump in horsepower with the carbon fiber individual runners for Fan and Anderson was the LAST STEP of the process on big stroked, big cammed, race exhaust engines.....far, far from a "stock" 5.0 engine !! You mean because these manifolds signifcantly reduced the low and mid range torque on a 6.5 liter engine and would have turned a 5.0 into a joke? Or because they never made it past the prototype stage and the pieces were literally held together with glue and bondo? Both actually....... just did not wish for Kibort's post to make people with stock S-4s think there was an easy 80 HP out there just waiting for them with a simple manifold swap and "no other tuning changes" . It's difficult not to get your hopes up when you see comparisons like this. Multiple intakes for the LS1 motor adding 50-60hp or more. Scales aren't the same for TQ & HP (HP on left, TQ on right). Makes it look odd.